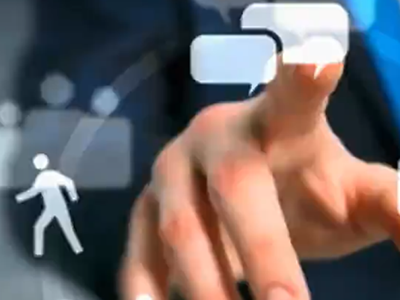 Welcome back to the IBM Business Analytics Resource Center! View this webinar to learn (1) the key differences between data-driven organizations and insights-driven organizations; (2) the importance of business agility in the age of the customer and the role of Agile BI; (3) BI governance - a key new component of data governance; and (4) how an enterprise grade BI platform can be a stepping stone into the world of artificial intelligence (AI) and cognitive computing. Build scalable cognitive solutions in minutes to gain Insight from all your data - Get started with the NEW Watson Explorer! Introducing the NEW Watson Explorer which brings data together from across the enterprise to deliver cognitive insights. 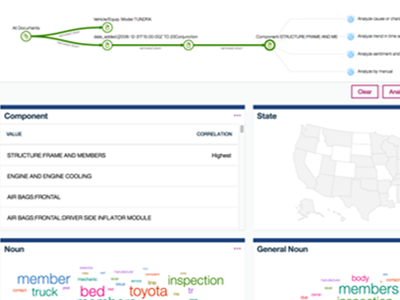 Experience a demonstration of new machine learning features and user experience and learn how Watson Explorer makes it easy to quickly build cognitive solutions. 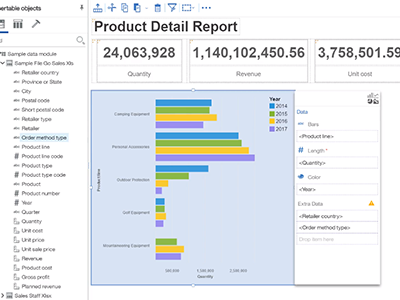 Cognos Analytics has a long track record of high quality analytic insight, and now, we added a lot of new capabilities designed to help even novice users quickly and easily produce great-looking and consumable reports you can trust. Watch this demo now! 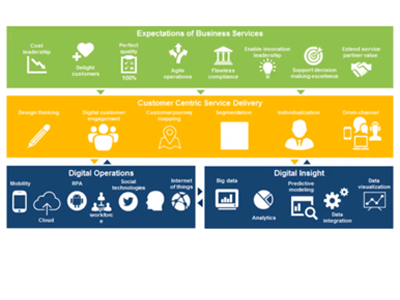 Competing in this digital age requires the ability to analyze data, and use it to drive decisions that mitigate risk, increase customer satisfaction and grow revenue. 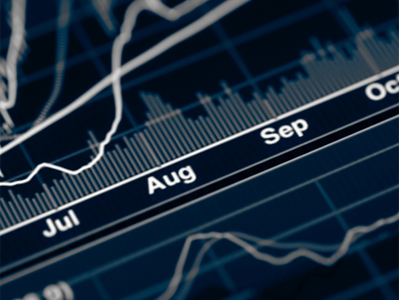 Using a combination of proprietary software and open source technology can give your data scientists and statisticians the analytical power they need to find and act on insights quickly. 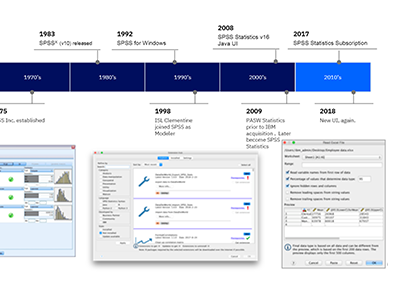 IBM® SPSS® Statistics provides all of the data analysis tools you need, and integrates with thousands of R extensions for maximum power and flexibility. In this webinar event, we will show how IBM SPSS Statistics can help you keep up with the influx of new data and make faster, better business decisions without coding. Watch this on-demand webinar to see how IBM Planning Analytics helps organizations transform their planning and analysis processes. Attendees will learn about hierarchies, multidimensional analysis and personal scenario analysis. 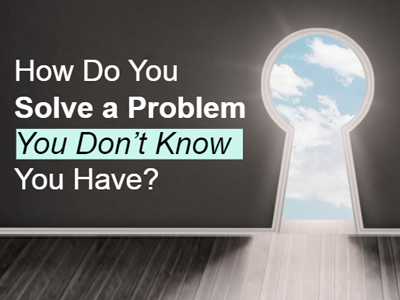 How do you solve a problem you don’t know you have? • The four common data and analytic issues that put you at risk. • How to mitigate and manage these risks. 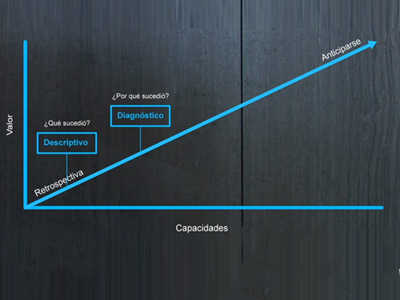 • How to drive innovation and build new business models. 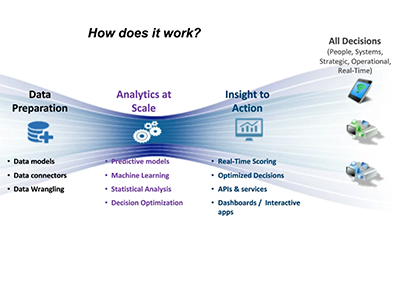 • The benefit of combining the major analytics disciplines -- descriptive, diagnostic, predictive, prescriptive -- with Cognitive, Machine Learning, and NLP. • How you can get started bringing these multi-point solutions together. 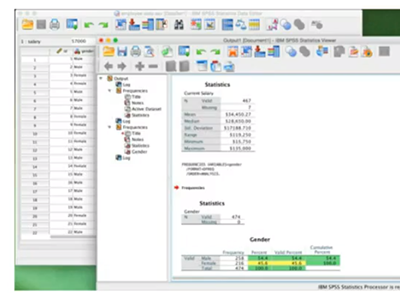 In this 45 min live webinar, we will provide a preview of IBM SPSS Modeler to be launched later in March. The set of new capabilities are designed to promote productivity of the data science team, enhance collaboration with business, and accelerate the time to the desired outcome. 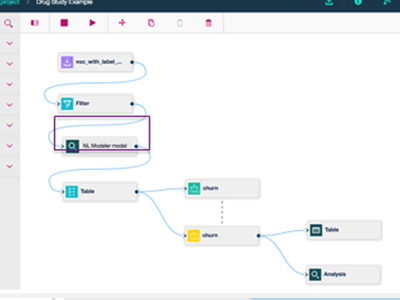 See the IBM SPSS Modeler with a revamped, user interface in Action and learn how to further exploit out-of box algorithms and open source technologies. Stories are powerful mechanism to communicate with people. Stories stick and make insights actionable, so it goes without saying that storytelling is a very powerful (soft) skill. In this on-demand webinar, you'll learn how to effectively apply storytelling best practices to get your message across. Especially in the world of BI, it is getting more and more important to effectively communicate business results. Watch the recording now! 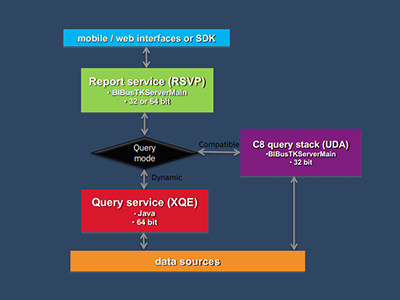 Is self-service analytics for everyone? 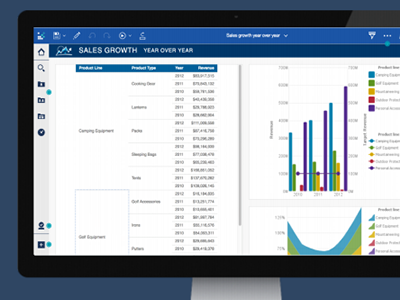 View this on-demand webinar to learn what is possible with the latest release of Cognos Analytics. 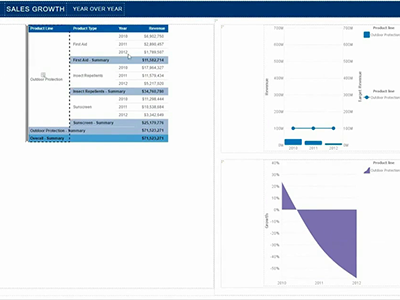 In addition, Cognos BI customers will learn how upgrading to Cognos Analytics can bring new capabilities to their existing system. Watch this recording now! In this webinar, you’ll see firsthand how IBM SPSS Statistics will enable you to access third party data sources (CRM, database, spreadsheets, etc.) and quickly understand large and complex datasets using advanced statistical procedures ensuring high accuracy to drive quality decision-making. In this on-demand webinar, we will highlight some of the key topics that were discussed and debated at the IBM Analytics University and review some real world stories from companies who are leading the drive to increase the use of analytics across their organizations. Watch this recording now. 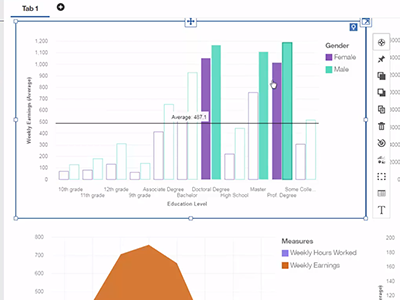 In this demonstration, you’ll get a firsthand look at IBM Planning Analytics Workspace, the customizable, web-based interface that enables self-service dashboards and visualizations. 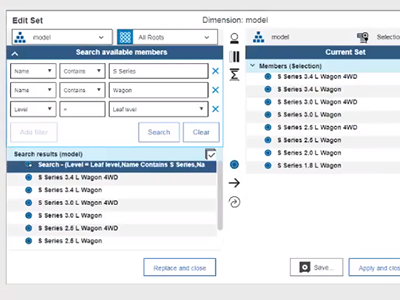 Walk through the steps needed to prepare a model for an enterprise rollout, and learn how to explore data using dimensions, cubes and hierarchies. Watch this recording now! 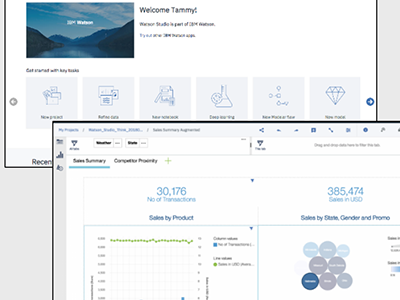 With the new hierarchies feature in IBM Planning Analytics, users can perform virtual attribute analysis for unprecedented insight into IBM TM1 data. This brief webinar will demonstrate how you can harness the power and flexibility of hierarchies to gain deeper insight while reducing the time and effort required to perform your analysis. Watch this recording now! 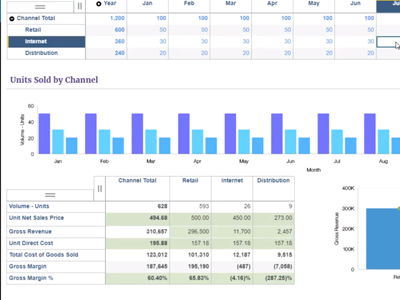 Using IBM Planning Analytics for Microsoft Excel, you can explore and analyze IBM TM1 data in the familiar Excel interface while avoiding traditional spreadsheet limitations. 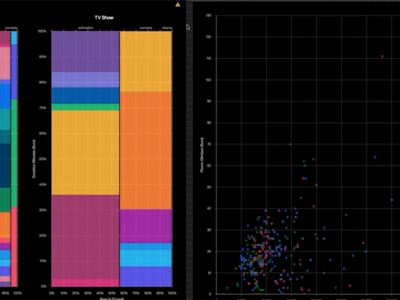 Watch this demo to learn how you can quickly identify anomalies and trends in your data using features such as slice and dice, drill-down and drill-through. 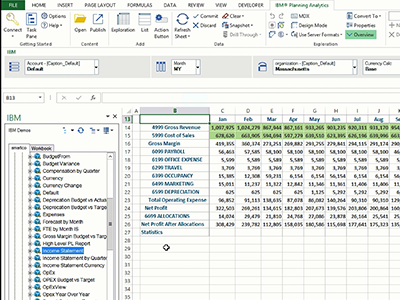 Plus, learn how to create Excel reports and publish them to the web for easy sharing. Watch this recording now! 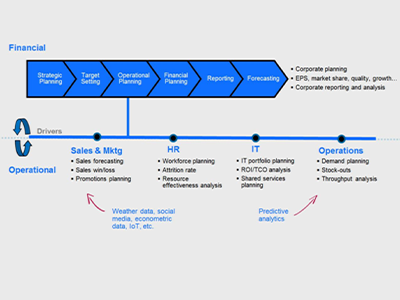 Watch this on-demand webinar to learn how to integrate predictive and operational planning and review real case studies that demonstrate how organizations are using predictive forecasting in their organizations. 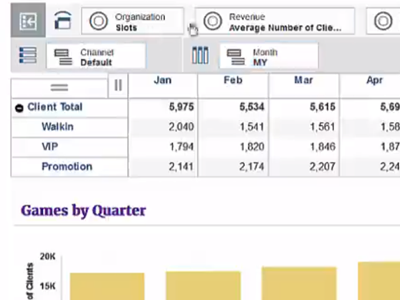 Watch this on-demand webcast to learn why EF Education First turned to IBM Planning Analytics to transform its planning, budgeting and analysis. EF will share how higher data quality led to new, reliable insights and how the company used scenario modeling to optimize pricing strategies to handle travel, accommodations, staffing and more. IBM Planning Analytics, powered by IBM TM1, redefines planning and analysis with an infusion of visual, cognitive, and predictive analytics capabilities. IBM TM1 technology serves as the cornerstone of IBM Planning Analytics, continuing to provide a fast and scalable multidimensional data engine. Watch this On-demand webinar to see the latest innovations in planning for existing IBM TM1 on-premises users. During this presentation, Jim Collins, of IBM, and Tom Willman, of The Hackett Group, will address the changing role of finance and the finance professional. They will discuss how to prepare for the threat of disruption and an uncertain future, recognize how to deliver efficient finance operations, explain how to protect enterprise viability and determine how to adapt in this continually evolving and volatile environment. 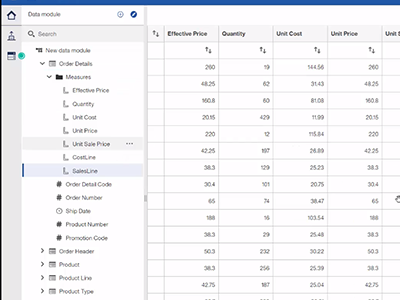 Watch this webinar replayÂ to learn how the latest release of Cognos Analytics offers the features youâ€™ve been requesting as well as a preview of some of the new pattern detection, machine learning, and predictive capabilities coming to Cognos Analytics in 2018. Join us for this on-demand webinar to hear how your organization can prepare for the threat of disruption and an uncertain future, deliver more efficient finance operations, protect enterprise viability and adapt quickly to a continually evolving and volatile environment.Join us for this on-demand webinar to hear how your organization can prepare for the threat of disruption and an uncertain future, deliver more efficient finance operations, protect enterprise viability and adapt quickly to a continually evolving and volatile environment. 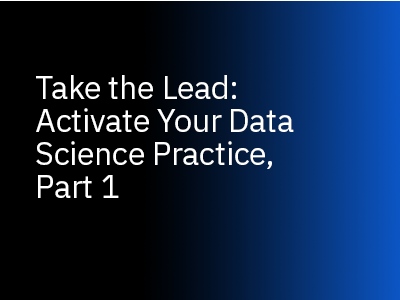 Part 1: Data Science Web Seminar Series: "Take the lead" Activate Your Data Science Practice"
Join this two-part IBM Data Science Webcast co-hosted by Julianna DeLua and Ted Fischer. 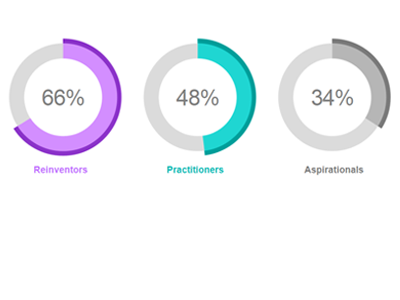 You’ll gain valuable insights from IBM data science teams, clients and industry experts. Part 2: Data Science Web Seminar Series: "Take the lead" Activate Your Data Science Practice"
Join this two-part IBM Data Science Webcast. 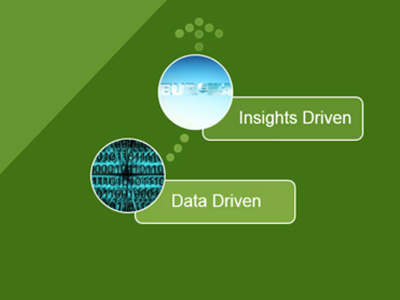 You’ll gain valuable insights from IBM data science teams, clients and industry experts. 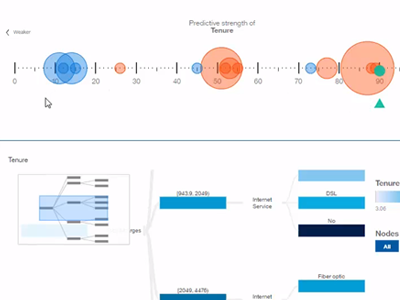 Also, see a demo of IBM Planning Analytics to show how multidimensional modeling is a key enabler of continuous planning, helping you update and revise your forecasts quickly and easily. In this live webinar we will provide an overview and demonstration of new IBM Watson Explorer for Data Science Experience (now IBM Watson Studio) features that enable data science teams to more productively discover and use insight from document collections and other text data to achieve new outcomes. - We replaced multiple windows with a single tabbed window. - A single variable sidebar replaces the separate data and variable views. - The full-screen New Analysis tab makes it simple to find the analyze functions you’re looking for, without navigating dropdown menus. - Our next-gen output viewer is now a full-feature workspace. Also, we’re excited to introduce Simon, who will help new and current users get started in less than 5 minutes. The top challenges modern retailers face in an omni-channel world. The percentage of "best-in-class" retailers leveraging AI. How your retail organization can benefit from infusing AI into your business intelligence solution. 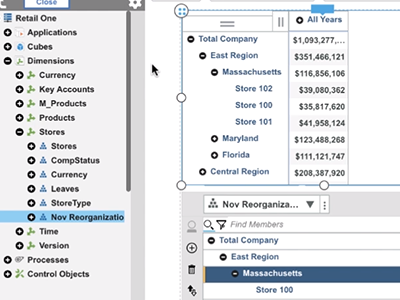 How IBM Cognos Analytics is putting "smarts" at the core of everything in order to help retailers improve profitability, optimize inventory levels, and meet their customer expectations. 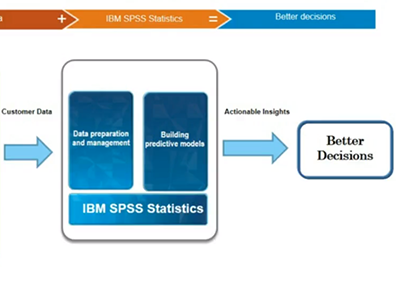 For 50 years, IBM SPSS Statistics has been helping academic institutions around the world gain predictive, actionable insights so that they can be confident they are making the best decisions, every time. By understanding the combination of factors that lead to dropouts and identifying at-risk students, teachers and administrators can proactively intervene to ensure students not only graduate but are successful. 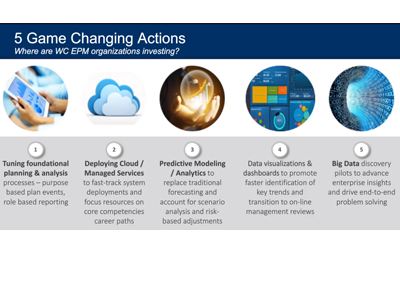 • Many tribal activities are supported through IBM’s agile planning and exploratory analytics solution including: Government Budgeting Processes, Gaming Revenue and Cost Modeling, Demand Planning, and Workforce Planning. • Link operational tactics to financial plans, synthesize information and see clear data visualizations in a dynamic, self-service workspace. • Explore scenarios or test business assumptions, and immediately see the financial impact of alternative courses of action. Conoce cómo una gestión de datos híbrida permite a las empresas aprovechar datos de diversas fuentes y diferentes tipos, integrar sin problemas implementaciones en sitio y en la nube, habilitar machine learning, y potenciar el autoservicio. Proporciónale a tus analistas, científicos de datos y usuarios de negocios las herramientas que necesitan para comprender y analizar datos, visualizar información, predecir los resultados y automatizar con el uso de machine learning. Proporciónale a tus analistas, científicos de datos y usuarios de negocios las herramientas que necesitan para comprender y analizar datos, visualizar información, predecir los resultados y automatizar con el uso de machine learning. Proporciónale a tus analistas, científicos de datos y usuarios de negocios las herramientas que necesitan para comprender y analizar datos, visualizar información, predecir los resultados y automatizar con el uso de machine learning. 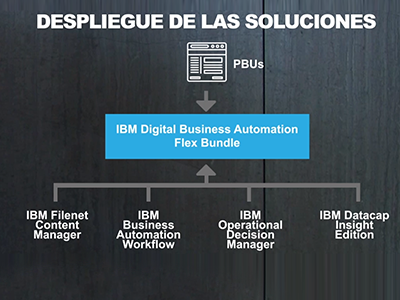 Basada en la flexibilidad de una plataforma de datos abierta, la mejor seguridad y la mejor gobernabilidad, plataforma de soluciones de gobernabilidad e integración de IBM te ayuda a crear una arquitectura de analítica de negocio moderna para satisfacer las demandas de tu empresa en cualquier plataforma, local, en la nube e híbrida, en cualquier escala. Cree aplicaciones nuevas y nativas en la nube, optimice el desarrollo con microservicios, tiempos de ejecución, contenedores y orquestación de Kubernetes incluidos, además de gestión integrada. 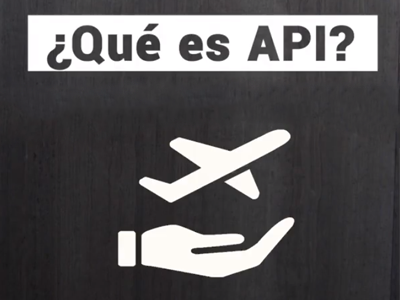 La transformación digital es lo que impulsa el liderazgo de las empresas, lidereadas por la economía de las APIs. Las organizaciones exitosas ven las APIs no sólo como herramientas técnicas, sino como las fuentes de valor estratégico en la economía digital actual. La automatización simple de los procesos puede eliminar los errores, reducir los sesgos y realizar el trabajo transaccional en una fracción del tiempo que le toma a los humanos. Y con la aplicación de la inteligencia artificial, estos arreglos de procesos robóticos puntuales ahora se han convertido en interacciones y procesos inteligentes. 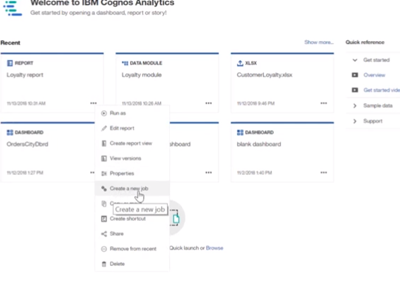 Are you interested in Cognos Analytics on Cloud but unsure how to get there? Let us guide you on the path to a successful and realistic migration. 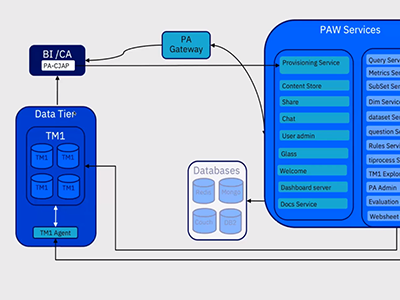 View this webinar replay as we'll step through the recommended proven workflow approach to upgrade to ensure you’re well prepared before you go-live. 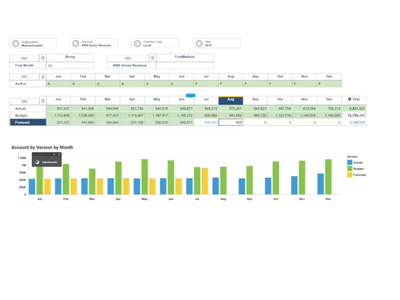 Businesses are deriving significant benefits from the features and capabilities in Cognos Analytics. But, how do you move to Cognos Analytics quickly without configuring a brand-new environment from scratch—especially if you’re a large enterprise? 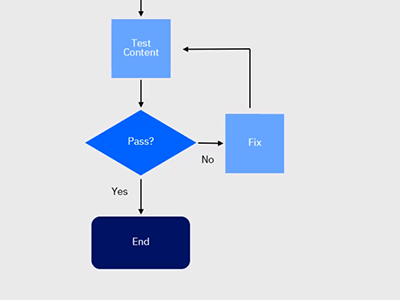 What kinds of problems should you expect and how can you mitigate those problems? Watch this webinar replay to get answers to these questions in an overview of what is involved in moving to IBM Cognos Analytics. This webinar offers a case study - in non-technical language - on how one law firm overturned traditional practice by using IBM Business Analytics. How your manufacturing company can benefit from infusing AI into your business intelligence solution. 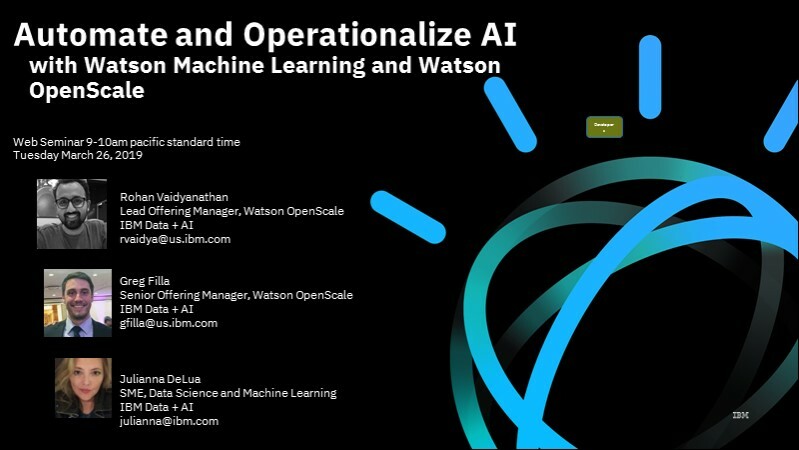 In this webinar, we will provide a tour of IBM Watson Studio with visual data preparation, open source notebooks, model management, auto-training and deployment. These capabilities help you increase productivity of visual and programmatic data scientists and analysts, and speed through experimentation to training and deployment for a desired outcome. 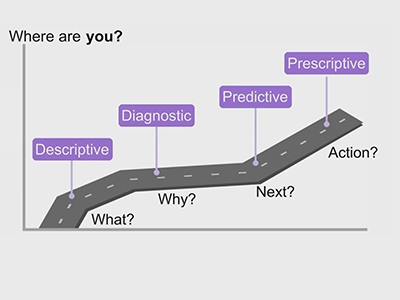 According to a recent Forrester survey, 90 percent of healthcare organizations have implemented analytics or are planning to do so in the next 12 months. 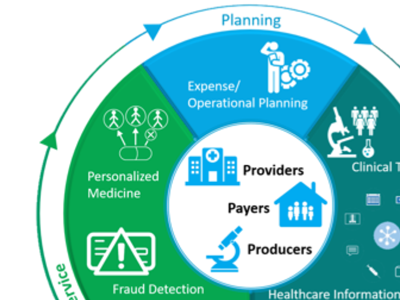 Healthcare organizations around the world are challenged by pressures to reduce costs, improve coordination and outcomes, provide more with less and be more patient centric. With the rising popularity of AI applications, preparation of data to train machine learning models is becoming increasingly important. 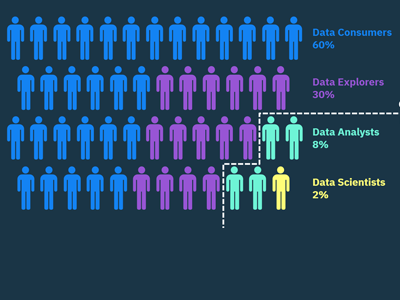 In a recent Ovum survey, data scientists have said that they are spending up to 80 percent of their time finding, cleaning, and reorganizing data and only 20% in actual data analysis. Even before this data can be prepped for AI, it has to be accessed through a proper governance model to make sure only the correct people have access. Once the data has been processed, it has to be integrated with rest of AI life cycle. Doing it all in a single platform speeds up the model building and deployment process. 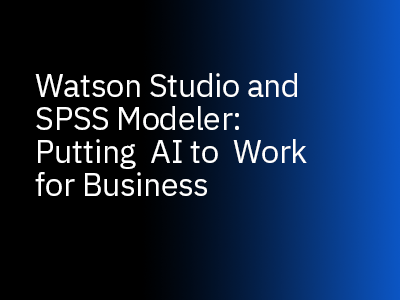 In this webinar, you will hear what challenges data scientists are facing in preparing data for AI and how IBM's Data Refinery - built within Watson Studio and Watson Knowledge Catalog - is addressing the issue. 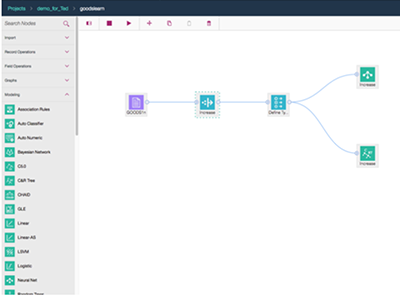 You will also see a demo of key features of the product and how Watson Studio provides an integrated platform for the complete AI life cycle. 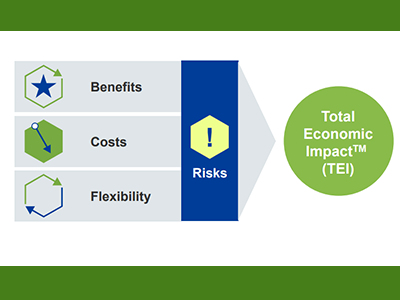 IBM commissioned Forrester Consulting to conduct a Total Economic Impact™ (TEI) study to examine the potential return on investment (ROI) enterprises may realize by deploying Watson Studio and Watson Knowledge Catalog. The result? 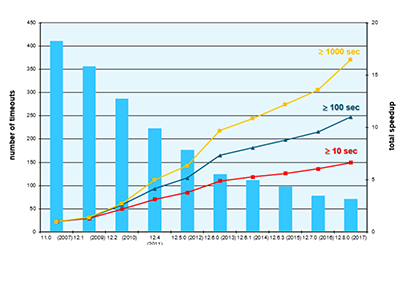 A projected ROI of 459%, over 3 years with payback in less than six months. Watch this webinar to hear from guest speaker, Forrester Consultant Sarah Musto, about how the study was conducted and how to interpret the results. IBM Watson Studio Offering Manager, Greg Filla, will cover features in the product that result in higher productivity and big cost savings. 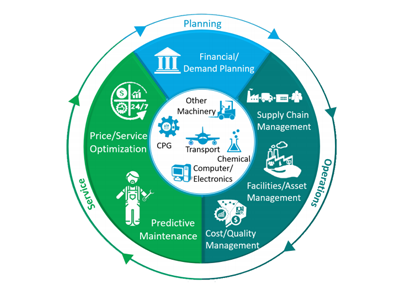 Watch this webinar replay to hear from a supply chain expert Bryan Ball and IBM executive Jim Collins to understand the challenges supply chain organizations are facing today, and how leading organizations are driving business success through leaner S&OP processes, inventory optimization, material management, waste reduction, and better planning tools. 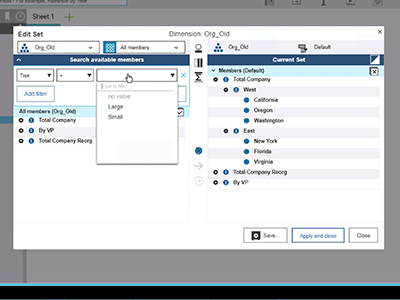 Watch this webinar replay for an in-depth look at how the new features and functionality in Cognos Analytics 11.1 are helping users unearth, analyze and operationalize insights from their data. 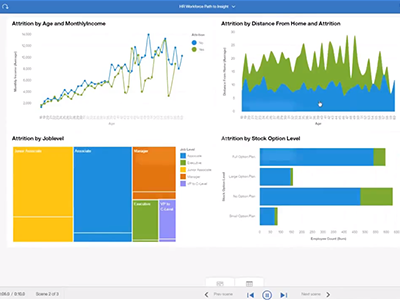 Watch this webinar replay, to see the latest exciting release of Cognos Analytics 11.1 that introduces many stunning new ways to interact and visualize data like never before. 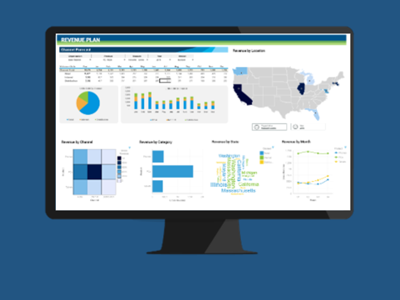 Attend this webcast to see how the infusion of cognitive capabilities makes is easier then ever to understand your data and beautiful dashboards. 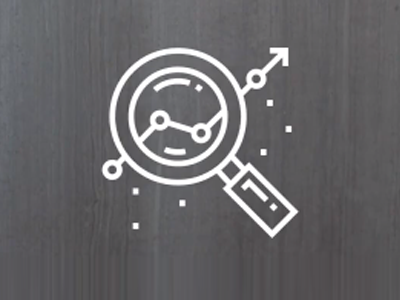 Multidimensional analysis: In-depth analysis of large, historical and future-oriented data sets gives you the insight you need to meet your targets and cope with the unexpected. Analyzing your data in all its three-dimensional complexity prepares you to seize opportunities to grow the business and address the inevitable setbacks with agility and confidence. Personal scenario analysis: A personalized “sandbox” environment helps you minimize uncertainty by creating and comparing best case, worst case and most likely scenarios, and modeling alternative courses of action. 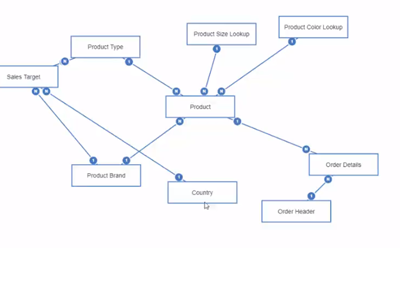 Hierarchies for fast, flexible analysis: The “hierarchies” analysis capability (an IBM Planning Analytics exclusive) enables users to perform in depth, granular analysis using “attributes” to model variables such as products, customers, regions, and sales channels in real time. Do you want to win with AI in the hybrid, multi cloud world? Are you tackling data, algorithms and apps to drive business value from AI? We've got you covered. 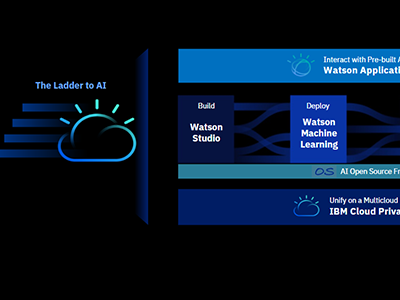 Listen to this on demand webinar and learn how you can simplify and scale your AI projects on Watson Studio. 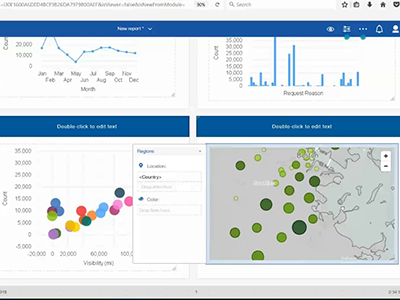 Watch this webinar replay to learn how the smart data exploration capabilities in the new Cognos Analytics aim to help every user gain valuable information and actionable insights from their data. This is achieved through embedded AI and machine learning that make it easier for leaders across a broad spectrum of industries to make better decisions using advanced analytics. Watch this webinar replay to see some of the exciting new AI-driven capabilities in IBM Cognos Analytics that significantly reduce the complexity of data preparation. In it, you will see how personal, external, and IT-curated data can be fused together to accelerate interactive analytics, even if you have a slow database. 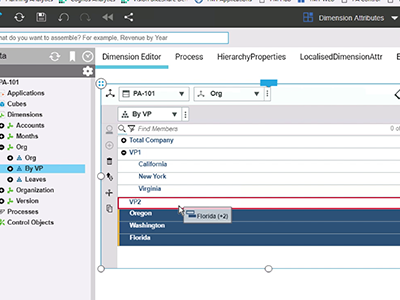 Also discover how you can make ugly data beautiful using the self-service data preparation options in Cognos Analytics. 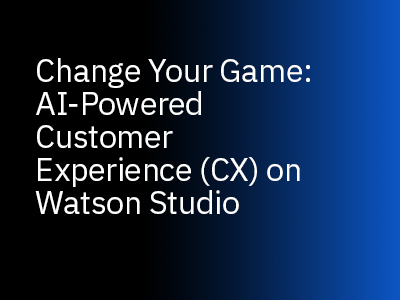 AI has the potential to become a game changer for customer experience (CX). This webinar provides key use cases for AI-powered customer growth, why they are important and how to put them into production to drive value quickly. As organizations rush to innovate and modernize business with AI, one thing is clear. Just getting more insight into your business is no longer good enough. Your business needs fine-tuned foresight on what will happen next. At the heart of any prediction are production-ready models that are trustworthy, explainable and fully traceable. Furthermore, the ability to augment your data science and business teams with AI productivity and automation features is vital to business success. And you need a simplified way of preparing and shaping data, building and training models and deploying them into production. With unparalleled expertise in AI, IBM helps you quickly get up and running, accelerate time to results and scale your success, all in a unified hybrid, multi-cloud environment. This webinar features IBM Watson Machine Learning and Watson OpenScale, the critical components in your AI journey. The ability to accurately predict what is likely to happen at a point in the future, and build plans and strategies based on that knowledge, is essential to an organization’s success. But what happens when a forecast is inaccurate? What is the impact on a business, its customers or its partners? For businesses, the ability to catch even a tiny glimpse of what the future may hold can lead to happy customers, improved efficiency and productivity, and highly successful business decisions. 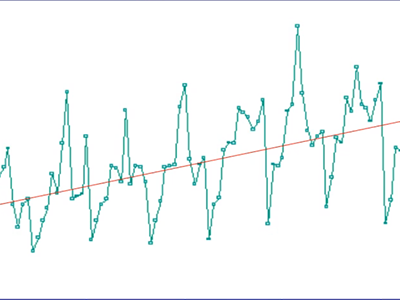 In this webinar, learn how time series analysis better enables departments across your organization with actionable, more accurate insights related to the timing of equipment failure, customer offers, and the impact of effects like seasonality. 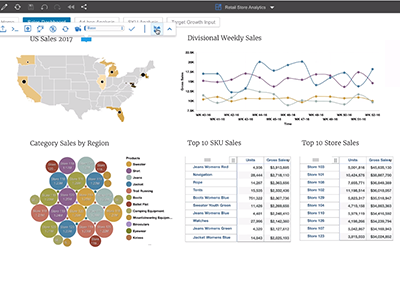 Watch this webinar replay to learn how Cognos Analytics brings together enterprise-grade reporting and dashboards with compelling visualizations, extensive self-service capabilities, and AI-driven “smarts” that enable faster, more insightful analysis. 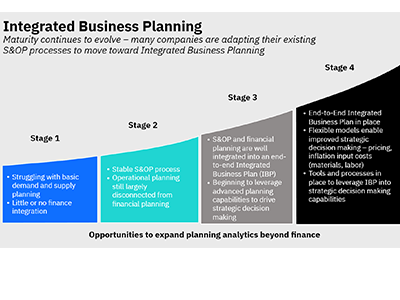 Watch this webinar replay to learn the key practices of an integrated planning process and why keeping the objectives of finance and operations properly aligned can lead to smarter decisions and investments. 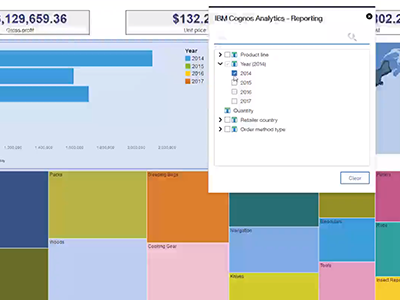 Watch the Think 2019 session replay to see how IBM Cognos Analytics can make reporting available to virtually anyone in your organization. 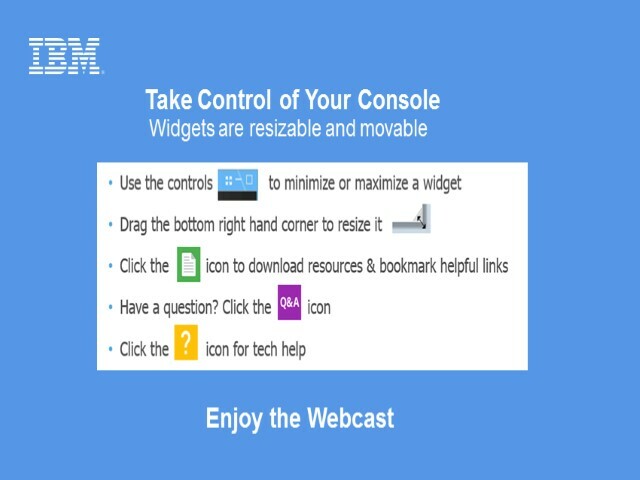 Watch the Think 2019 session replay to learn how your application will authenticate to IBM Planning Analytics on behalf of its users, using IBMid, to learn how to use the IBM TM1 REST API, how to navigate content in the MongoDB PA content store, and how to reuse the Planning Analytics Workspace UI components, such as the cube viewer and set editor. 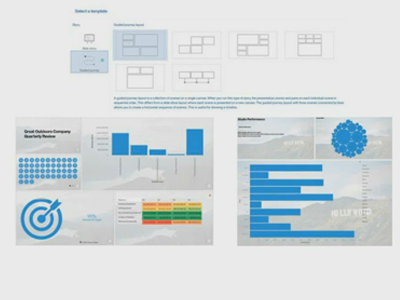 Watch the Think 2019 session replay, presented by the product engineering team, will deal with a number of advanced IBM Planning Analytics Workspace topics. 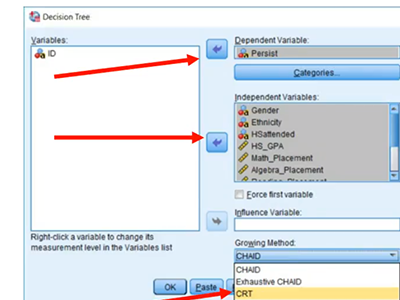 These include how to solve common problems using dynamic sets based on cell data, the advantages gained from recent advances in charting, and the basics of how to use alternate hierarchies for more flexible analysis. Watch the Think 2019 session replay to hear about best practices for Planning Analytics Workspace database backups, managing continuous delivery refreshes with automated rollout and rollback, horizontal elastic scaling using Docker containers and orchestration engines (Kubernetes or Swarm), Microsoft Windows and Linux install considerations, and more. 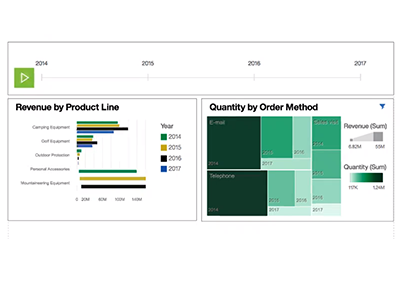 Watch the Think 2019 session replay, you'll learn all the recent enhancements to IBM Cognos Analytics (formerly IBM Cognos Business Intelligence) and share how these enhancements are moving forward together to meet your analytics needs. We’ll share some market reactions and offer a view into the possible future of modern self-service and managed reporting. 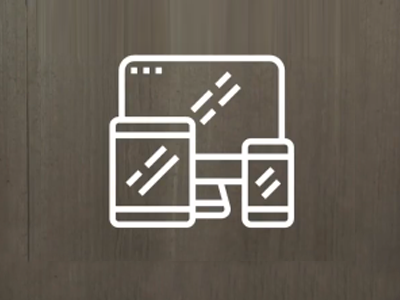 Watch the Think 2019 session replay that showcases the self-service data preparation options in IBM Cognos Analytics. 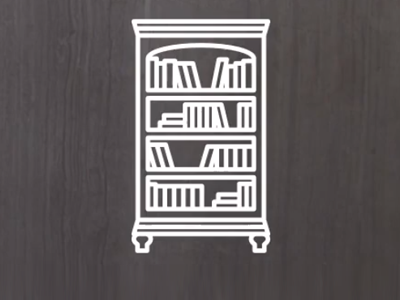 You’ll see how personal, external and IT-curated data can all be fused together. 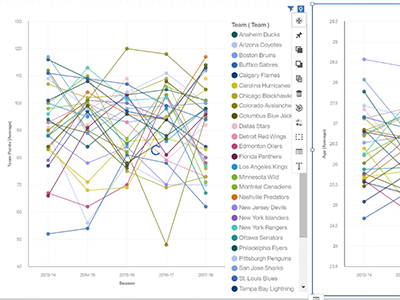 You’ll learn how to accelerate interactive analytics even if you have a slow database, and discover how you can make even ugly data beautiful. 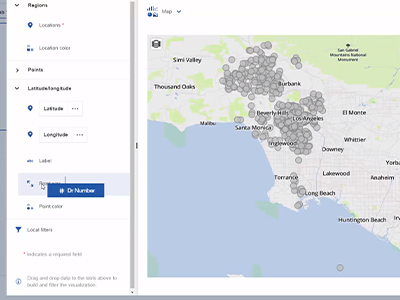 Watch the Think 2019 session replay, to see with the new Exploration capability being introduced, IBM Cognos Analytics aims to help every user gain instant insight into their data. 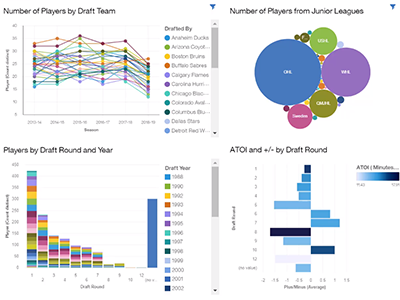 Whether you’re starting from an existing visualization or working straight from the data, this system will help guide users through a discovery process by recommending alternative ways of visualizing data, and help you surface trends and patterns. Watch the Think 2019 session replay, where we will put ourselves in the shoes of a line-of-business user and employ IBM Cognos Analytics to augment existing corporate data sources with additional external data. 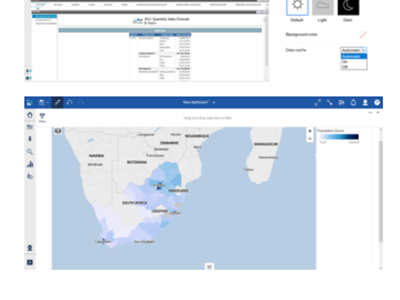 Also, see for yourself how you can use Cognos Analytics for self-service while maintaining data integrity and governance. 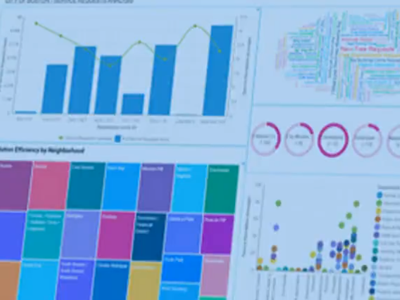 Watch this Think 2019 session replay that will walk you through the AI architecture built into IBM Cognos Analytics. 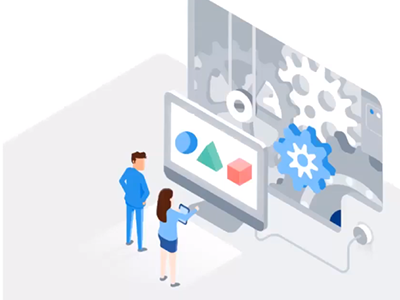 Learn how machine learning (ML), natural language processing (NLP), ontologies and other cognitive capabilities improve the user experience in Cognos Analytics. You’ll understand how traditional steps in the business intelligence (BI) process are now automated. 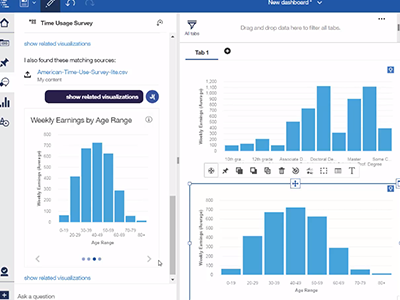 You’ll also discover how the AI in Cognos Analytics offers another perspective in making unbiased data-discovery a reality. 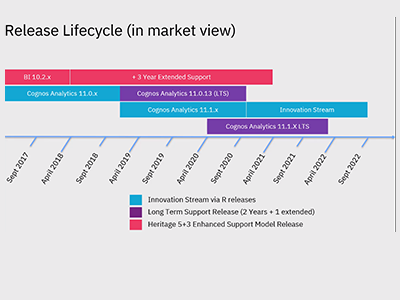 Are you planning an upgrade from IBM Cognos V10 to IBM Cognos Analytics? If so, this 'Think 2019 session replay' is for you. It will focus on the topics of upgrade methodology and proven practices used in the field. The content will be extremely valuable in helping you plan and execute your future upgrade.